The following post is sponsored by FitFluential, LLC on behalf of Mizuno. Regardless of payment or free product, the following opinions are my own. My feet hate me. For years, I'd strap them into inefficiently high heels and walk around like nobody's business. That was back when I worked in advertising (and went to bars), but I work at a gym now (and I rarely go out) so my feet rejoice. Because now, I live in sneakers. And I run in sneakers (obviously). My feet still hate me, but only when I take them OUT of my sneakers. Or when my sneakers wear out, which has been the case as of late. I've talked about my hunt for a new running shoe before. In fact, I settled on the (bright green and pink) Sayonara 2. I got the chance to review the original Sayonara when they launched it, and I've been a Mizuno fan ever since. 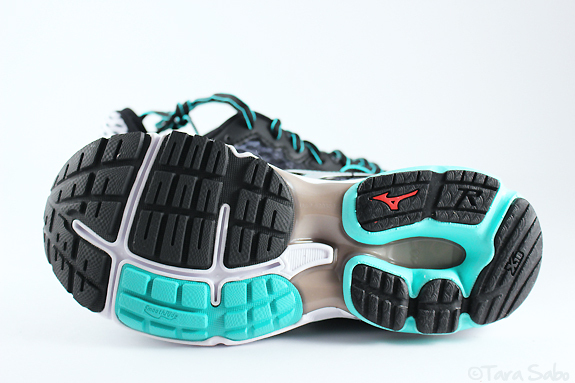 So when FitFluential offered up the chance to test out ANOTHER Mizuno running shoe. I jumped at the chance because, well...new shoes. So enter the Wave Rider 18. This is an upgraded pair of Wave Riders, which are neutral running shoes. Are they better or worse than the previous model? I wouldn't know, but I can tell you that they're different than the Sayonaras, and that's not necessarily a bad thing. I love the Sayonaras because they feel light on my feet without compromising comfort.. They are perfect for short and/or fast running, in my opinion, but can still go the distance. But a little EXTRA padding never hurt a girl's feet, which is why I wasn't totally turned off by these new Wave Riders. So what's up with that little silver logo on the back end? 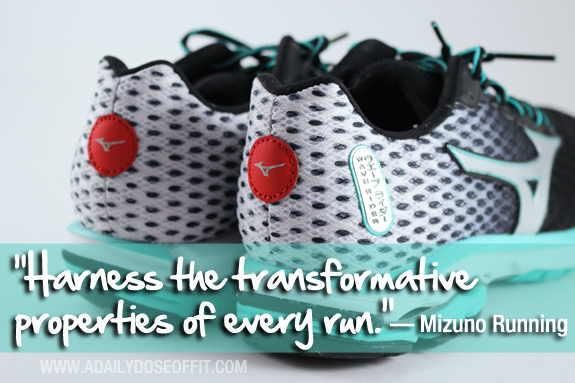 Mizuno pulled inspiration from the Japanese concept of "Hado," which is a "life force energy that promotes powerful transformations. Evidence of which can be found in the shoe's sleek design which, theoretically, conveys power and energy. And who doesn't need that while they're running? 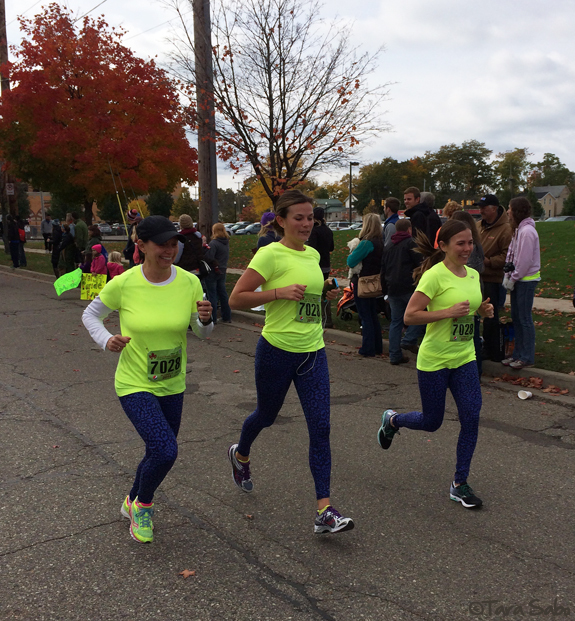 I broke out the shoes a week before I ran the Grand Rapids Marathon as a relay. My feet have been loving them ever since. 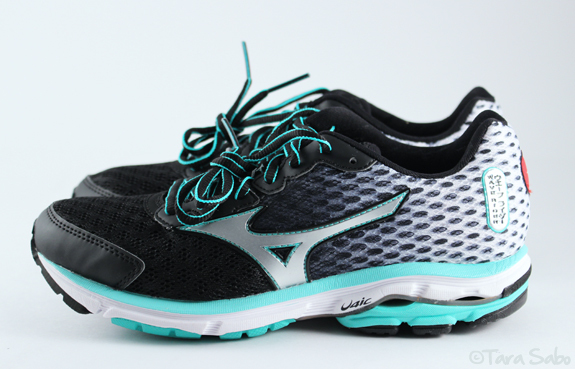 Question: Do you run in Mizuno shoes? If so, what model? And what's next on your race calendar? I have loved every run in this shoe! I wasn't a Mizuno runner...until now. :) Training for the Ragnar Relay now. these colorssssssssssssssssssssss! 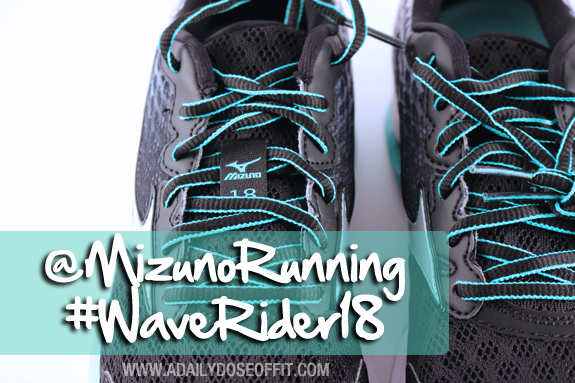 I fell in love with the Wave Riders 17 - I just trained for and ran my first half marathon in them! And these are TOTALLY on my Christmas list - I especially love the color combo you have. Glad you had a great experience!